Weekly poll: Xiaomi Mi A2 and Mi A2 Lite, are they everything you hoped? 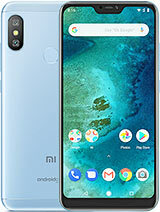 The specs were known months ago – the Xiaomi Mi A2 and the Mi A2 Lite have essentially the same hardware as two MIUI-running Xiaomis except with Android One. Still, did this week’s unveiling make you excited or did you feel a tinge of disappointment? The Mi A2 upped the screen size compared to its predecessor, has an up-to-date chipset with plenty of oomph, adds an option with more RAM and storage. So far, so good. But it lost the telephoto camera, the microSD card slot and the headphone jack. And it costs more to boot – the Mi A1 launched at around €200, the Mi A2 starts at €250. That’s with 32GB storage, which we think is too little, so you’re looking at at least €280. Price-wise the true sequel to the A1 is the Mi A2 Lite – it starts at €180. Actually, it’s €230 if you want the same RAM and storage as the A1. While we love the 4,000mAh battery, we’re not keen on microUSB. The headphone jack survived and the microSD card is still on board so storage is less of a worry, but the Snapdragon 625 just feels old on a 2018 phone. A 636 would have been ideal, but we would have settled for a 630. 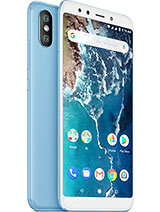 The Xiaomi Mi A2 and Mi A2 Lite are already available in some countries and will launch in more markets in a couple of weeks. Will you be checking out your local stores or will you look for other Android One phones? What do you think of Xiaomi's latest Android One phones? He's not talking about the features. He's talking about the bugs present on mi a1 that xiaomi has failed to fix so far. These bugs are not present on other Android one phones, so it's not an inherent stock Android issue.